Helping teens make behavioral changes is challenging. There are a host of behavioral problems that can develop and are difficult to change. These behavioral problems can be self inflicting ( cutting or depression or drug abuse ), or to aggressive and dangerous to others( anger, family violence and crime). Even though there are wide ranging categories for behavior problems, each person’s behavior problems will have unique characteristics that have to be handled individually. There are many options when it comes to helping teens with behavior problems. They run the gamut from school counseling, summer camps, rehab centers, wilderness adventures, therapeutic boarding schools, to issue-specific therapy programs. The task of choosing can be daunting. Most parent try to resolve the problems with close-to-home solutions first: talking to their teen, having them get school counseling, get involved with activities that build character and the like. When these fall short, parents look for more intensive solutions outside the home. That is when services like boot camps, boarding schools, wilderness programs, and residential treatment centers are evaluated. How are parents supposed to evaluate the different options and make good decisions for their teens and their family? There are many valid criteria, not the least of which is success rate. But, parents want more than just successful behavior change. They want their kids to be happy. We see people around us that have a joyful disposition and we all have a pretty good idea of how they got that way. Most happy people seem to be self-directed, resilient, and have a positive outlook on life. People with these characteristics tend to be happier or at least well-adjusted. So, parents want to see some of these traits instilled in their kids if possible. Happiness is not something a therapist or therapeutic organization can promise. But, it seems that if therapy contains the goals of behavior change along with trying to instill some of those values, teens will benefit. This positive attitude is not always achievable in a therapeutic setting and sometimes it is not even a goal. Not all therapy tries to instill positive values in teens. You would think that all therapists and therapeutic organizations would have that approach, but they do not. Many actually take a negative approach. Negative tactics work to change behavior to a degree. They may not lead to happiness, or fulfillment, but they do affect behavior, and some of them are very popular. What Do We Mean By Positive And Negative Approaches? Negative behavior change is accomplished by methods that prey on our insecurities. The techniques used are loosely based on fear, punishment, shame, and guilt. As awful as it sounds, these approaches are in use in many of the ‘rehabilitation’ programs geared towards keeping young people out of prison or gangs. Scared Straight (link to previous article) is an example of such a program, and today there are many more similar programs throughout the country. As mentioned above, youth criminal intervention programs commonly use negative tactics. Young people in the juvenile justice system are confronted by inmates in a hostile and aggressive manner with the intention of creating intense fear. Boot camps and military style camps for troubled teens are another example. Many teen boot camps use aggressive tactics such as physically breaking down the individual in order to re-mold them into a more disciplined person. There may be some sense of pride from surviving such a camp, but many teens who go through these boot camps do not experience long term benefits. These camps, because of their aggressive nature, attract aggressive staff and are prone to abusing the teens in their care. Negative approaches are not just found in prison and boot camp, they can be used by anyone who wants to control another person. Many troubled teens come from homes where blame and guilt were used as tools of control along with violent punishments. How could more of the same be of any benefit? Positive behavioral change is accomplished by methods that build up character and inner motivation. For long-lasting recovery and the possibility of being happy and positive, these are vastly superior to the negative alternatives mentioned earlier. Quality therapeutic programs strive to bring about behavioral changes that improves the character and disposition of the individual. There are many ways to affect change in a positive way, but two ideas are central: mentoring and empowerment. Mentoring is one of the key aspects of positive behavioral change. Mentoring is a way to create a supportive and healthy relationship between a caring adult and a teen. Mentoring relationships are not only beneficial for teens in a therapeutic environment. Mentoring relationships are found everywhere. Mentoring is a key concept in learning and growth of all kinds, whether learning a trade or skill. For troubled teens, mentoring can bring about a great deal of positive change. Empowerment means being able to take credit for success and suffer the consequences of failure. Empowering teens means letting go and letting them experience the consequences of their actions, good or bad. It means allowing them to make their own decisions and do things for themselves. This can be a bit nerve racking for parents, but an important part of the growth process for teens. In order to empower teens, parents need to let them make decisions and suffer the consequences. Good decisions will have good results and bad decisions will have bad results. One of the important things about empowering teens is not bailing them out of a bad decision. Even it it means going to jail. This does not mean that parents have no involvement. Parents are there to provide protection, support and advice. Parents need to step in when necessary but also allow for growth and independence. Parents empowering their teens act more as consultants. Instead of saying, no, you can’t do that. Parents take the consulting approach and say, if you do that there may be some negative consequences. Then, with clear boundaries, say that they will not intervene if something bad happens. In a therapeutic environment, the therapists and staff use this same concept to help teens make good decisions and grow. Empowering in a therapeutic environment is slightly different that at home with parents. However, teens still have plenty of opportunity to grow. There are many opportunities to grow and take responsibility in the activities and relationships during therapy. 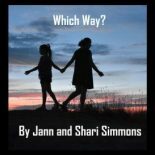 So how do you, as a parent decide what is right for you and your teen? It starts by looking at the basics: how do different organizations approach behavioral change?Start with a program that uses positive approaches is a good start. From there, maybe look at the different features of the program to determine what may be the best fit. Why Are Military Bootcamps So Intense?